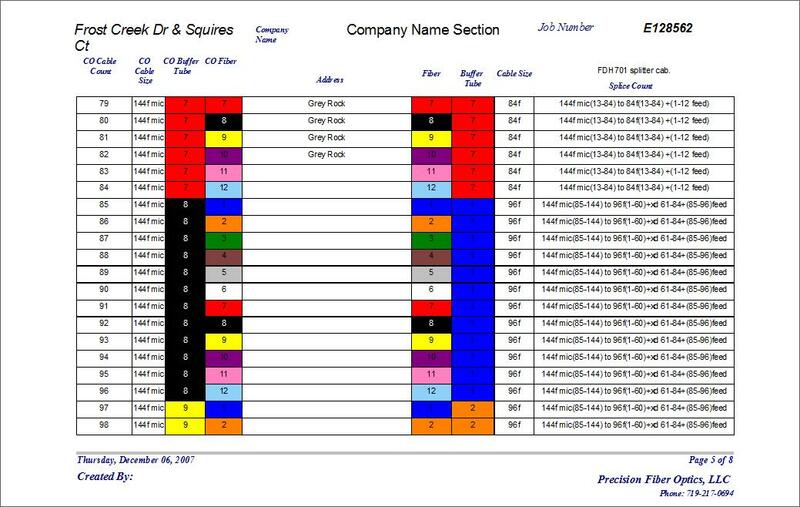 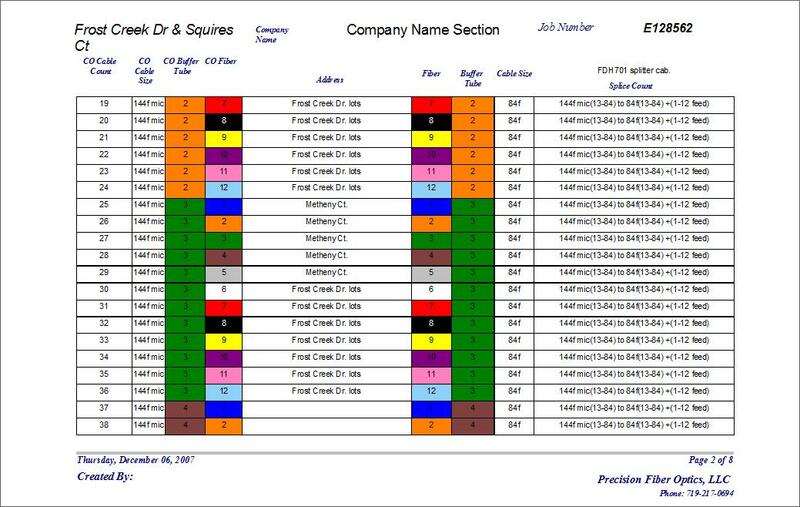 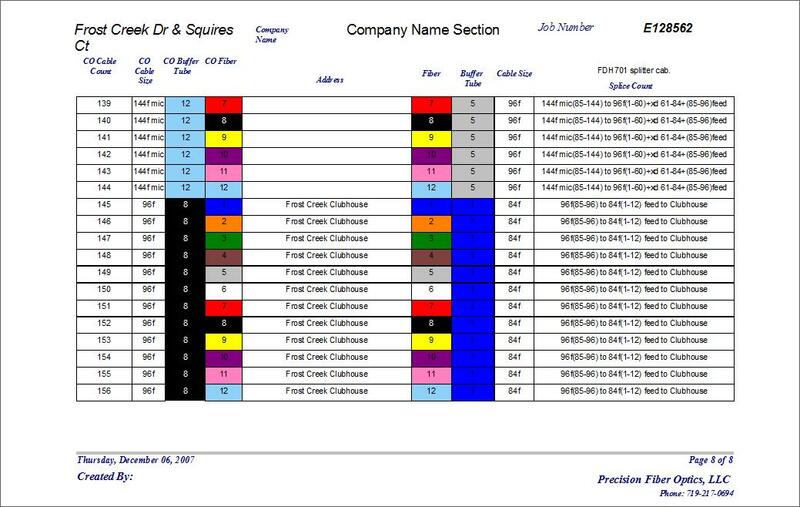 The Cut Sheets that are showing are for a FTTx project, mostly lot numbers have been assigned to each fiber address. 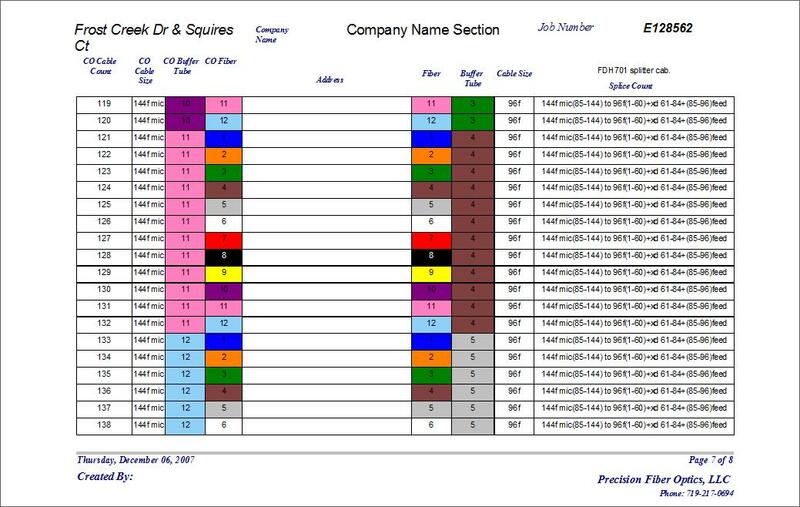 This example shows many different cable changes and this is only one location. 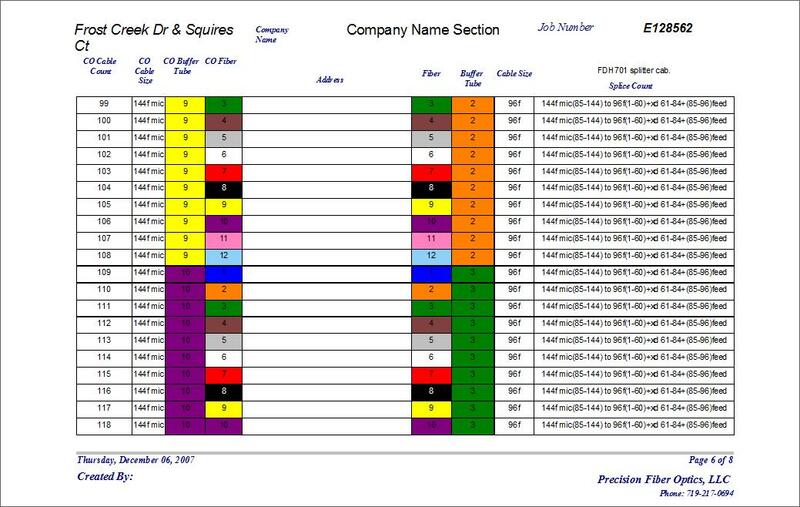 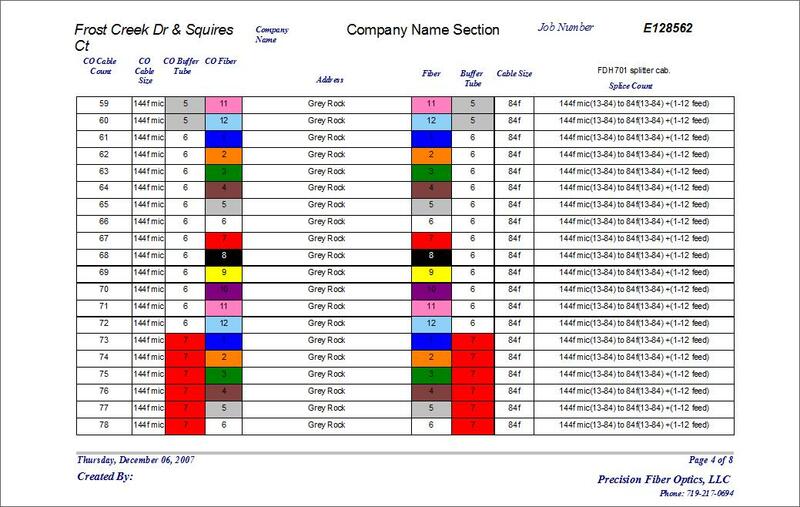 From the Hub this sheet gives you the PON cabinet cable count that all other splice point will correspond to. 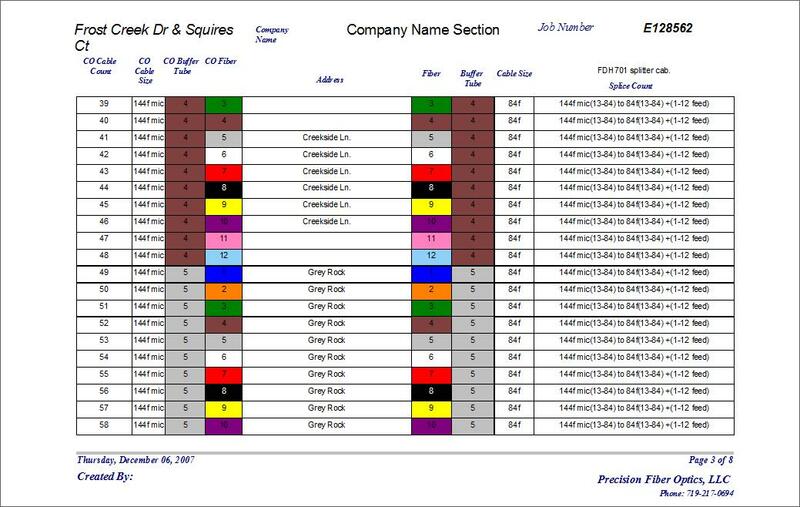 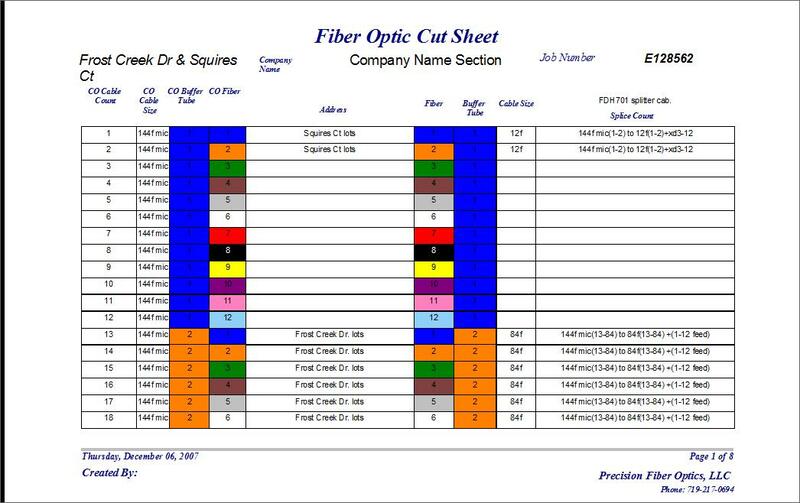 The Cut Sheet Program allows you to detail exactly how each fiber is to be splice at a particular location on a fiber route, quickly.